This dashboard shows the traffic quality per channel in order to help identify which channels are performing at the desired level, and which need to be focused on and improved. If you don’t use Google Analytics, we can pull data from 50+ cloud data sources. And you can push your own data too (API Docs). Which channel brings the most visitors to your site? What have you been doing to nurture each channel? Is it reflected in these KPIs? Are you reaching your goals for each traffic from each channel? Google Analytics dashboard template which will give you insights about your users, sessions, referrals and more. 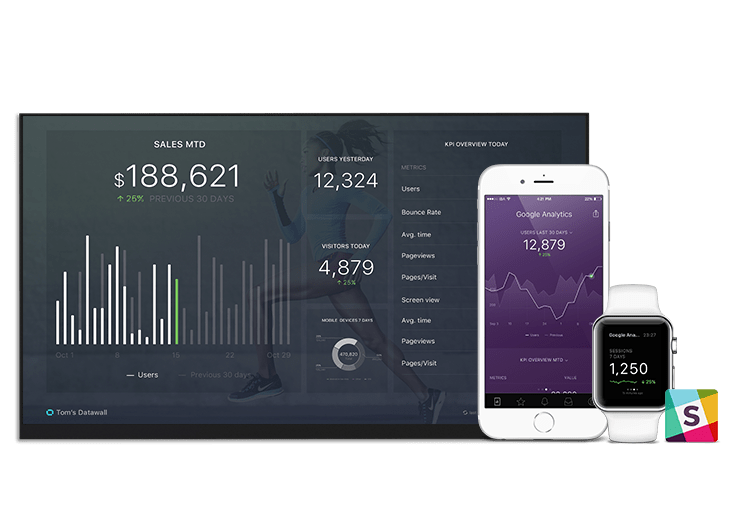 Google Analytics dashboard template which will give you insights about your Transactions and Revenue, conversion rates and more. Google Analytics dashboard template for mobile apps which will give you insights about your Users, Sessions, Screen views, avg. time on screen and more. The Traffic Quality dashboard compares the way that mobile vs. desktop visitors use your site. Make decisions based on type of device.